Opportunity Finds Evidence of Life! The Opportunity Rover is at it again! A little over a week ago, it set the record for longest distance traveled by a vehicle on another planet. Well it seems that NASA’s longest-running rover wasn’t finished hogging the limelight just yet. 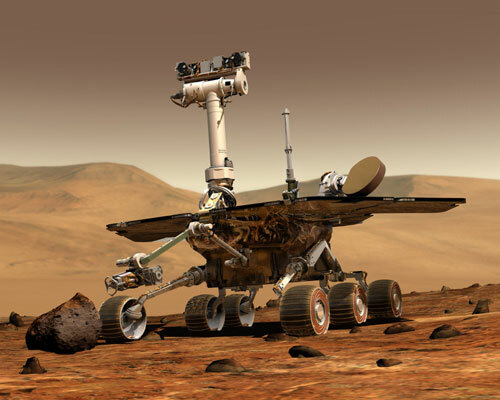 Yes, after ten years of service on what was originally planned to be a three-month journey, Opportunity struck gold by discovering the strongest evidence to date for an environment favorable to ancient Martian biology. 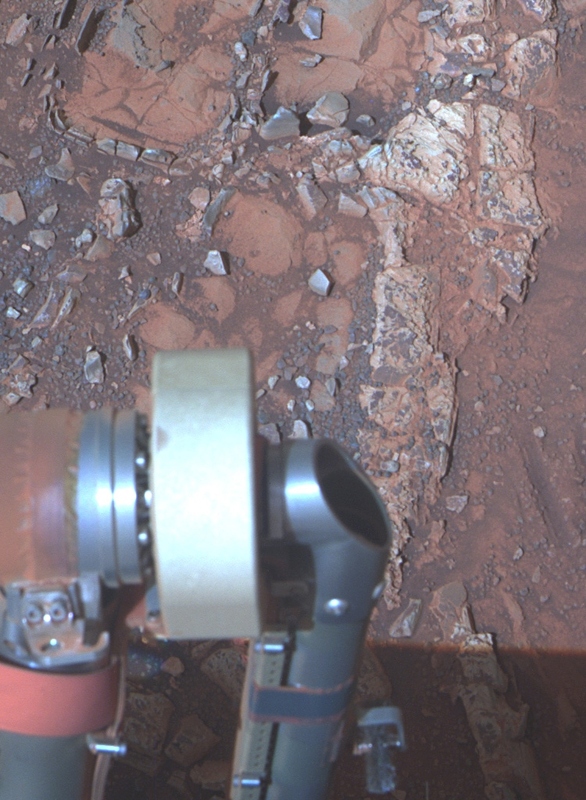 The process involved Opportunity using it still-functioning Rock Abrasion Tool (RAT) to expose the interior of Esperance and then examine it with its microscopic camera and X-Ray spectrometer, both of which that are mounted at the end of her nearly 1 meter (3 foot) long robotic arm. Inside, it found a rock surface loaded with clay minerals that was clearly formed with the help of flowing liquid water. What’s so special about Esperance is that there was enough water not only for reactions that produced clay minerals, but also enough to flush out ions set loose by those reactions, so that Opportunity can clearly see the alteration. Esperance is unlike any rock previously investigated by Opportunity, containing far more aluminum and silica which is indicative of clay minerals and lower levels of calcium and iron. Most, but not all of the rocks inspected to date by Opportunity were formed in an environment of highly acidic water that is extremely harsh to most life forms. Clay minerals typically form in potentially drinkable, neutral water that is not extremely acidic or basic. Water that moved through fractures during this rock’s history would have provided more favorable conditions for biology than any other wet environment recorded in rocks Opportunity has seen. What’s next for Opportunity? Well, now that she’s finished at Cape York, Opportunity has set sail for her next crater destination at “Solander Point”, an area about 2.2 km (1.4 miles) south of the Cape. Eventually, she will continue further south to a rim segment named “Cape Tribulation” which holds huge caches of clay minerals. Along the way, there’s likely to be plenty more evidence of what Mars looked like many millions of years ago. You know, with all this Opportunity-related news coming in, I’m beginning to wonder what Curiosity is up to. While it’s nice to see her partner-in-crime breaking records and turning up such important finds, I do wonder if Curiosity is likely to feel a little left out. At this rate, one might think a game of one-upmanship could break out between the rovers teams! Alien Matter Found on the Moon!